Clear Dawn Company, the leading manufacturer of metal stamping parts, offers unparalleled customer service and innovative manufacturing skills and fulfills customer’s requirement at the high quality level. The Clear Dawn Company (CDC), a leading manufacturer of precise metal stamping parts and steel components in Taiwan, offers a wide range of metal stamping and machining capabilities. CDC mainly manufactures stainless steel casting parts, aluminum alloy parts, titanium fasteners, bronze brass parts, gears, spindles, pistons and cylinders. Recent innovations, the new brass plumb-bob with an internal spring device that helps prevent damage to the tip when dropped, gets high praise from the buyers worldwide. CDC also supplies materials for many overseas projects. 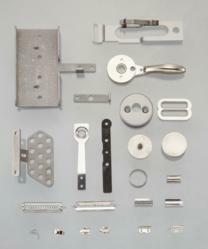 CDC manufactures precision-metal machinery parts for customers in the European and American regions, whereby most are used for specific machineries, Biochemistry laboratory, IT equipment, and computer components,...etc. Furthermore, CDC continuously seeks the newest and fastest methods available for the development of metal stamping parts, and also ensures the design is correct and meets customer’s request. The strong development team that dedicate much of their time to research and development, not only obtaining patents in Taiwan, China and the USA for many of their new products, but also receiving great appreciation from global buyers for their services. CDC products are most used in hardware for construction and in industrial parts and specialized components for transportation equipment such as steel luggage racks, made from seamless stainless steel tubes. Additionally, CDC’s products are now used in the IT industry. The company is proactive in terms of quality, using the ISO 9001 quality control system, and is highly experienced in logistics support. CDC has long prioritized innovative thinking and a strong focus on customer service. CDC welcomes specific requests from customers who wish to supply their own designs and/or samples and responds promptly to such requests with a fair estimate of costs. 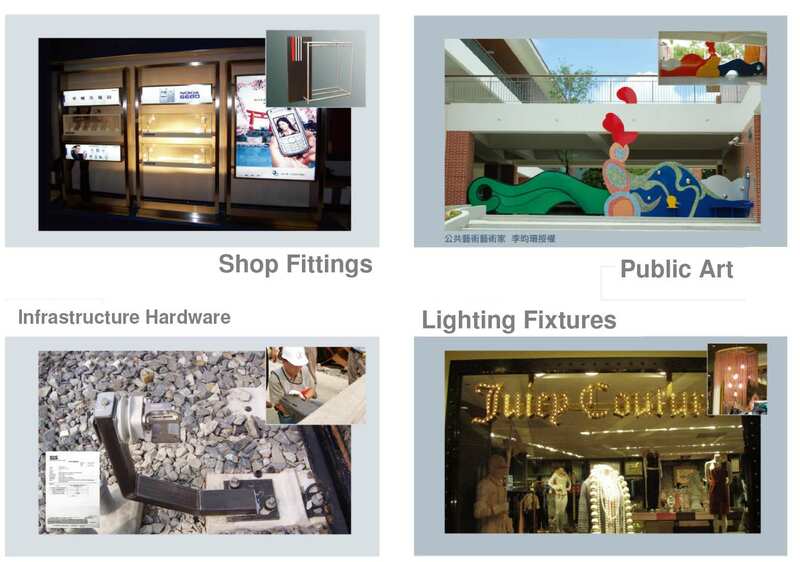 Infrastructure hardware, lighting fixures, public art, shop fittings manufactureCDC specialized in manufacturing Infrastructure hardware, lighting fixures, public art, shop fittings. 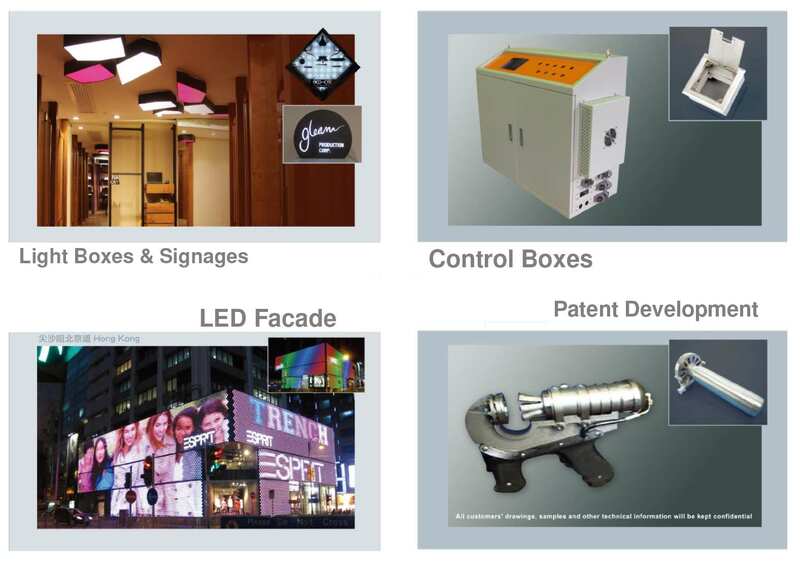 Patent development, control boxes, light boxes, LED facade manufactureCDC offer excellent prototype manufacture skill and service, good in Patent development and IT Industrial parts manufacture.